“He risked everything to protect me.” FOX has just released the premiere date and trailer for their new TV show, The Passage. Based on the novels by Justin Cronin, the drama “focuses on Project Noah, a secret medical facility where scientists are experimenting with a dangerous virus that could lead to the cure for all disease, but also carries the potential to wipe out the human race.” The cast includes Mark-Paul Gosselaar, Saniyya Sidney, Jamie McShane, Caroline Chikezie, and Emmanuelle Chriqui. The Passage premieres on FOX on January 14th at 9 p.m. ET/PT. What do you think? Are you a fan of thriller dramas? Will you watch The Passage? 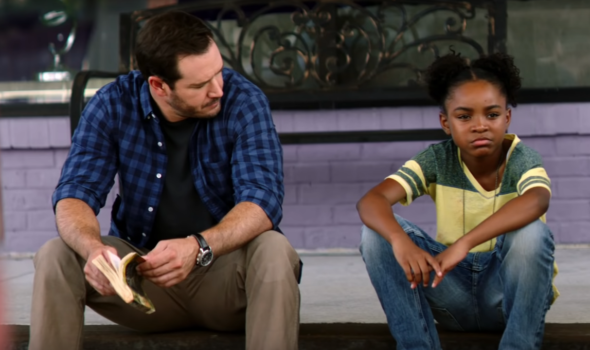 More about: FOX TV shows: canceled or renewed?, The Passage, The Passage: canceled or renewed? The Passage: Is the FOX TV Series Cancelled or Renewed for Season Two? Absolutely! I loved the trilogy and can’t wait to see how the TV series handles this book. Very powerful. The book was fantastic! Can’t wait for the show!